They are great, very easy to make, and do go fast. Made my first batch 2 weeks ago. Opened this weekend at a family get together every one loved it so much, it sure didn't last very long. My wife, who is a caramel addict, mentioned doing a batch with the Rolos yesterday she saw the ones I made. Those are about all gone today, so I might head to the store and get some Rolos and pecans. I bet they won't last too long, either. 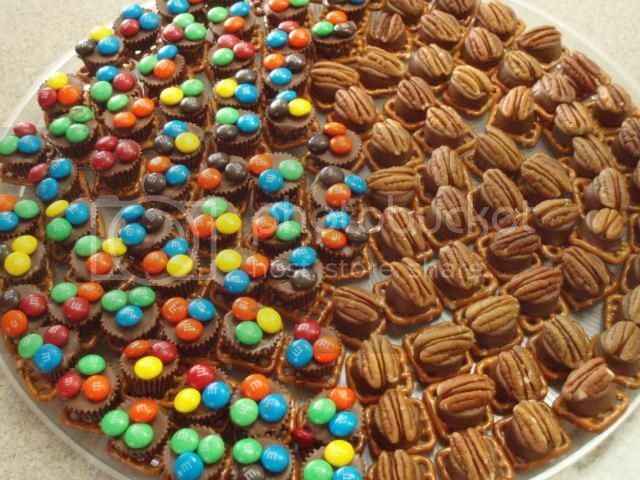 I just finished making a whole batch of them, shown on the platter below, for our big family get-together in two days. Now I need to find a place where they'll be "safe" until then. 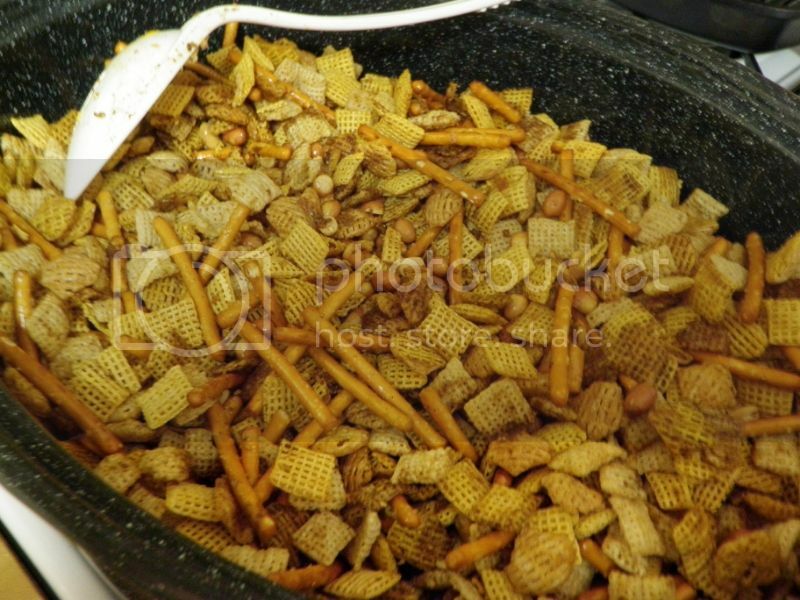 I also have three 1-gallon bags stuffed full of the smoked (Cherry) Chex Mix that I need to divide up for friends and family. I was going to make 2 batches of double stuff today to use up the ingredients I had left over from all the Christmas prep, when I got to the second batch I only had half of the seasoned salt called for so I grabbed my trusty jar of Jan's Rub and added it in. As it's coming out of the oven it tastes awesome, I'll see how well it does smoked up and then I may have to make a batch with all Jan's Rub. "May have to make a batch"?? Shame on you Robert. I thought everybody knew that Jan's rub is great on anything!!! Kidding. I thought about it too, but haven't done it yet. Only have put a pinch or three before. Just got back from the G-store. Chex cereals were on sale. 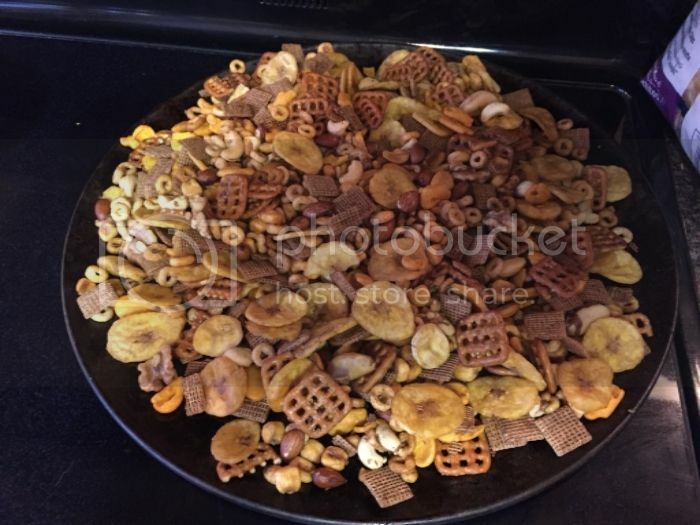 So....I may beat you to the punch on the all Jan's rub chex mix. You'll have to let me know how it turns out. Made a batch today with Jan's rub as the only seasoning. 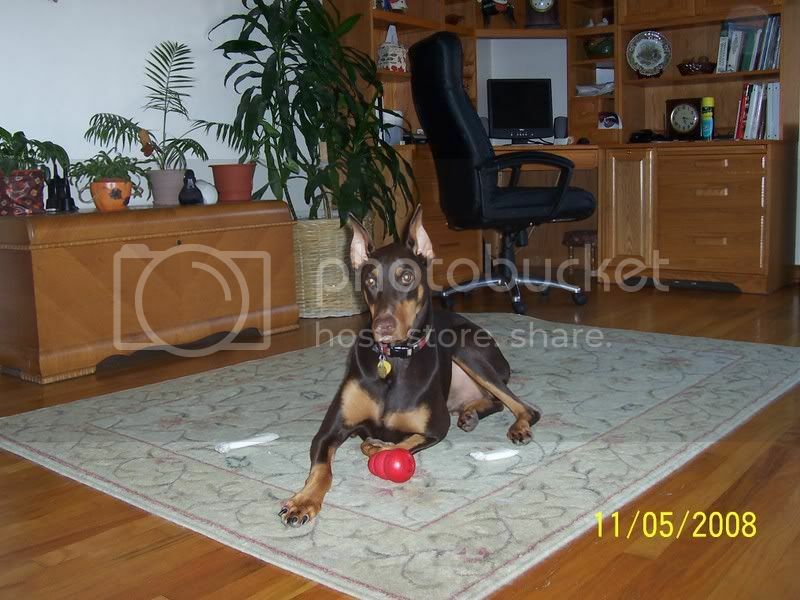 I really like it!! I can barely taste the cayenne. Just right for me. To 5 C ea Rice, Corn, and Crispex, 2 C Spanish peanuts and 4 C stick pretzels, added 2 sticks butter, 6 TBS W-sauce and 2 TBS Jan's. Didn't smoke. The Bradley is full of Hillbilly Bacon today. Maybe a little more Jan's next time. Looks good Joe, I got mine smoked last night and it was really good, I hid a small bag of it to see how it is in a couple of weeks because I know it won't last that long in the 2 large bags I've got it in. I bet we can come up with some really great flavors with different rubs and such, I wonder if Scott has thought of doing a batch with his blazing pistachio seasonings? Glad you like it, I need to make a batch or two myself. Looks fantastic, that's the whole idea behind the recipe, use what you like and have fun with it. Just wanted to circle back and say thanks for the recipe, glad I tried it, and if you haven't, you have to. 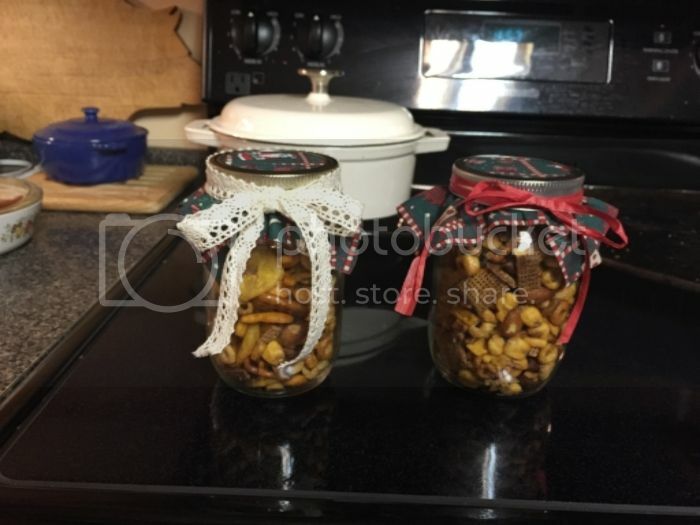 It was a huge hit with all the jars we gave away and a fabulous snack for us. I'm making some more.